"My goal in life is to bring the passion I feel for horses and people together with an easier transition, to make the two as one"
"Partnership & Confidence Building Horsemanship"
Katherine teaches a straight forward set of exercises that aides in the development of a calm confident horse and rider. No matter the skill level or discipline, these steps remove fear and resistance, elevating trust, communication and bond. Understanding the importance of herd structure and leadership to enhance safety and promote growth. Earn why bad timing and poor releases lead to unhappy and ridged horses. Most of all, ”become more than a passenger, become a partner”. 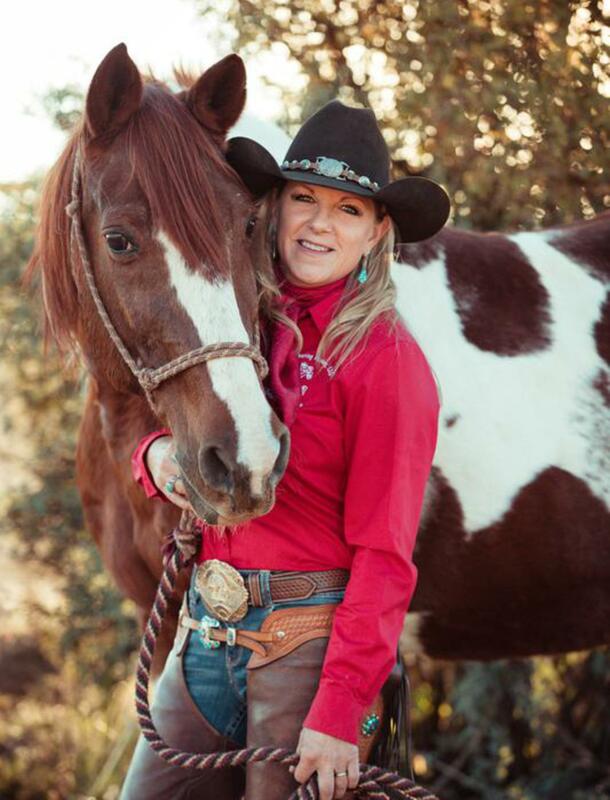 "Listens to Horses and Whispers Back"
​Through the years being captivated by and passionate about Horse's, and with determination to break into the barriers of horse training, I have studied and worked with many horse trainers. I have put an intense amount of time working with horses and people, trying to find a way for both to come together in order to communicate and bond, creating a partnership. To align a happy, safer horse and rider no matter what level or ride discipline. I am a true believer in "Partnership & Confidence Building Horsemanship". It is a method of educating the horse and rider without using brute force, but a take and give format-"Communicating in a language they understand". In 1996 I began working in local barns voluntarily dedicating time, and doing anyting I could from mucking stalls to assisting veterinarians and farriers. Then in 2000 I started to help run and work at guest ranches, teaching people and horses how to find and work through issues and problems before they find them. In 2004 I began to live out my true passion and I traveled across country working with "problem" horses helping to decensitize them and have them overcome their fears and issues. I often admit its caused from humans or human made issues. I teach everyday with methods to form a safer foundation, help me reinforce how important ground work is before you can get up on a horse. In 2006, I set up my first clinic in Jamesville, NY. While working the floor I watched clients go from uncertainty to confidence in a short period of time. It was exhilarating and a great success. Also, I had the opportunity to help run and teach a clinic in Faser Colorado. 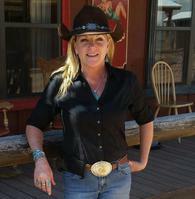 Over the summer of 2006, with horses and people at a guest ranch in Granby Colorado and was in charge of horses, clinics, ride instruction and training of horses. I worked with guests from all over the world teaching them one on one, about the importance of ground work and how to better improve their riding and relationship with their horse. The most memorable experience was an 8 and 10 year old who attended one of my riding and instruction clinics. Now they have a foundation and are creating ther own future with horses in England. I worked with horses that some long time "cowboys" and "Equestrians" claimed to be unridable and irrational making them suitable for quest rach work as well as contenders in the arena. They are now being ridden by guest and clients, as young as 8 years old, by using a method that I call "Partnership & Confidence Building". With my life dream now being pursued, I had the opportunity to work with well over 1000 horses, making them safer for everyone and as well as the workers all around them. Now these horses and people ride and enjoy each other more safely as a team. Currently, I am woking with people in order to help them understand that communication and working with such a majestic and powerful being is not difficult and need not be rocket science. Early Spring of 2007 finally broke through, with determination of helping people learn feel technique, observation, and being the horse's advocate, drove to accomplish becoming a Certified Horsemanship Association Riding Instructor in English and Western; at the same time ultimately receiving the honor of being recognized as a Certified Horse Trainer with the Frank Bell's program. With these incredible accomplishments under belt, the quest for knowledge, experience, listening ability to heighten CONFIDENCE and communication. Without delay and much interest from the public, in May 2010 I was asked to demonstrate as a featured Clinician for many expo events all over the country. August being a wonderful time of year, I decided to pack a horse and dedicate a two day 70 mile track upstate New York. I went from Jamesville, New York to Camillus, New York passing towns, villages, people, stores and wonderful country. I camped out with the horses at the 9 mile creek. The horses were great and looking forward to more miles. 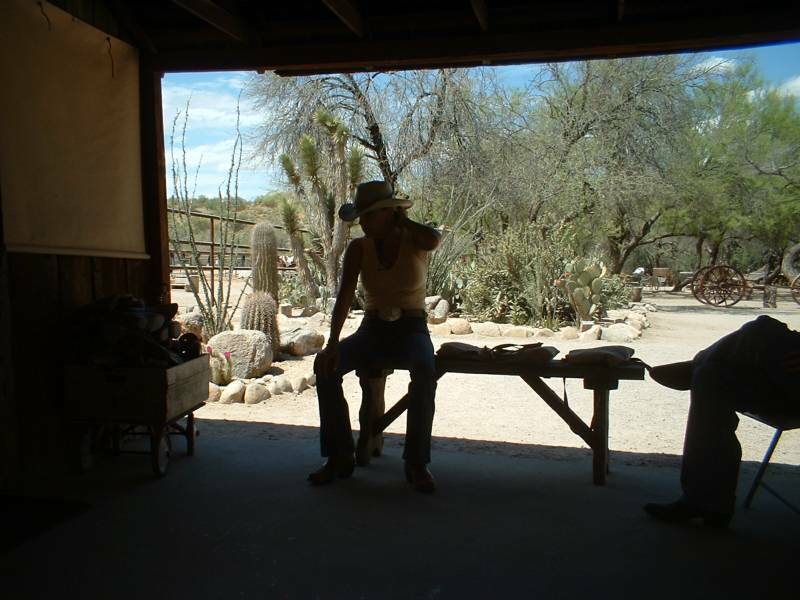 As of the recent, the ongoing journey of teaching the "Missing Art of Horsemaship" and "Partership & Confidence Building Horsemanship" methods of training, persists here in my facility in Dewey, Arizona. Well as throughout the world performing demonstrations at many exos and clinics country wde. EQUINE AND HUMAN PARTNERSHIP AND CONFIDENCE BUILDER, TEAM BUILDING, CLINICIAN, HERD SOCIAL ORDER AND DYNAMICS,NATURAL HORSEMANSHIP, PARTNERSHIP & CONFIDENCE HORSEMANSHIP TEACHER, HORSE TRAINER,HORSE RIDING LESSONS, HORSEMANSHIP LESSONS, GROUND WORK, PAIN MANAGEMENT, PROBLEM SOLVER, TROUBLESHOOTER,GUIDED INSTRUCTIONAL TRAILS AND OBSTACLES, BARN MANAGEMENT, SAFETY PROMOTER.